After three years in Florence, we returned to California shortly before the flood of November 1966. We watched our heroic friends in the news, cleaning oily mud from priceless paintings and manuscripts. We flew out of Damascus just months before Syria first began to implode in March 2011 and cannot forget the backdrop for the human and historical disasters of the past seven years. 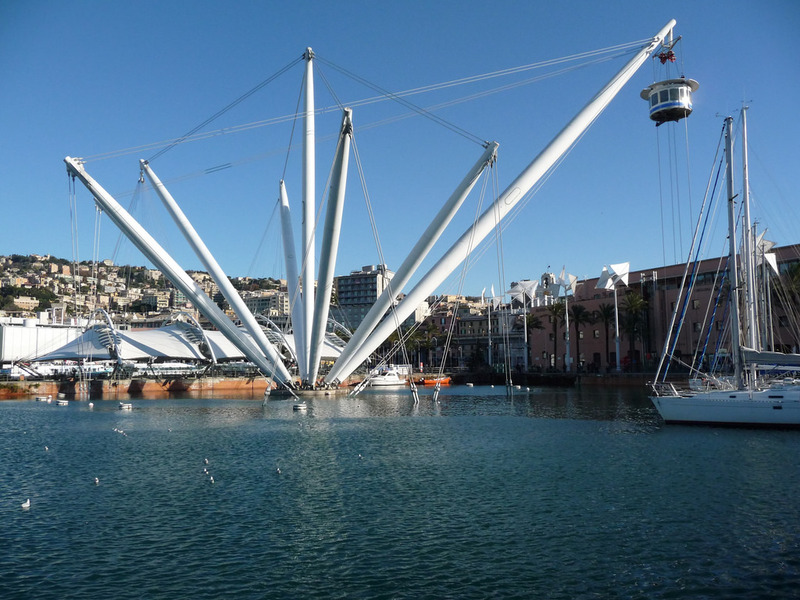 This spring we happened to spend some time in Genoa, not entirely by choice, but that’s another story. In fact, we had always wanted to explore this live, functioning port on the other side of the Italian boot from Venice, our alternate reality. Arriving and departing from Genoa Brignole by train, we never had reason to cross or even to view the deadly Morandi Bridge. Autostrade per l’Italia’s license to manage the Italian freeway network may (or may not) be revoked. Atlantia has offered 500 million euros toward helping the victims as well as a quick reconstruction of the bridge. The Italian government is (or may be) debating nationalization of the whole highway infrastructure, which may (or may not) result in less corruption and safer roads and bridges. We stayed in the eastern part of Genoa, where the old city slopes down the hill to the port. The quarter is still called the Maddalena, after the winding street where women have been marketing themselves all day and all night for several centuries. Recent municipal efforts to restore the ancient neighborhood have apparently not affected the puttane. As early as the 1300s, the Maddalena was the financial center of the city. Now the narrow streets near the harbor are home to various mild-mannered immigrant communities. We were often lost in the web of alleys, threading our way past dark-skinned people clustering at markets and sitting in rows in doorways, all much more interested in their own pursuits than in us. There seemed to be no mendicants, perhaps because of a large police and military presence, also mild-mannered, not to mention a 75-euro fine for begging. Last year a conservative anti-immigrant city administration was elected. (Note: Beppe Grillo, the comedian who founded the populist Five-Star Movement, is from Genoa.) The new Italian government is headed by an uneasy coalition of the Five Stars and the neo-fascist League. Five hundred years ago, there was no Italian state to be consumed by conflicting interests or rampant xenophobia. In the vicious battles among the merchant republics of the Renaissance, Genoa’s mercenary soldiers and ships for hire brought enormous wealth to their city. Genoa had at that time the greatest concentration of successful bankers on this planet. Their families built the outsize columned and marbled palaces along the Strada Nuova, the new street. They paid Rubens, Van Dyck and Caravaggio to paint portraits and decorate walls, and local artists imitated them quite successfully. Of their famous shipyard (in no way a rival to the Venetian Arsenale) they have made an excellent naval museum, with myriad mythological and literary allusions to the sea, interactive historical maps, and the reconstruction of a full-size galley. In the entry is Renzo Piano’s blueprint for a new waterfront. Meanwhile, he left a large glass sphere and the Bigo panoramic lift, modeled on the old derricks for loading and unloading merchandise in the port. Since the early 20th century, funiculars have run up and down the steep slopes of the city. Whether or not their cost is justified by commuting residents, tourists are happy to find pleasant restaurants at the top. However, panoramic views of the city have been cut in half by the construction of cheap public housing and a huge belt of highway above the waterfront. This is not unlike the situation in San Francisco, before they decided to demolish their Embarcadero freeway–rather than rebuild it after the Loma Prieta quake. Of course blue jeans originated in Genoa, not San Francisco. Denim was a twill fabric of Nîmes (de Nîmes) manufacture that was used for sailors’ trousers in Genoa (Gênes in French). Levi Strauss only added the rivets. In the Gold Rush years and after, San Francisco and the north-central coast were settled by Italian immigrants, the first wave largely Genoese fishermen and farmers. My mother grew up in the fishing town of Santa Cruz, California and went to school with the Stagnaro boys whose fathers came from Riva Trigosa near Genoa. When my father went overseas during World War II, she returned to her home town with her small children. Another young “war widow “with a child lived across the street, and her Italian in-laws often invited us all to Sunday lunch at their farm in Soquel. Mrs. Conrado made delicious ravioli and memorable marinated artichoke hearts–although my mother had trouble downing the roasted uccelletti. Many of the Italians who came to San Francisco left the city for the suburbs as soon as they could. Among those who stayed, some entered politics, others ran popular restaurants, and still others did both. But Little Italy in North Beach has been nearly absorbed by the growth of Chinatown, which now counts for more than 20 percent of the San Francisco population. 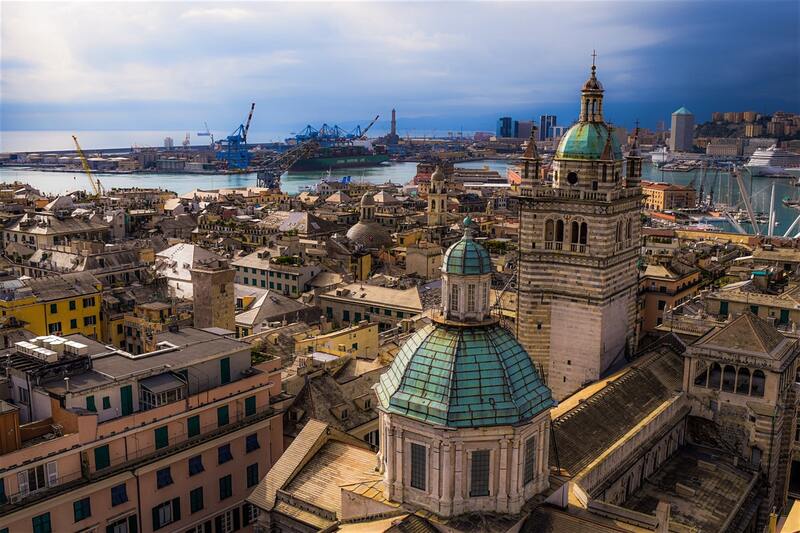 In 2014 Genoa’s immigrant population was 55,000 of almost 600,000. 18,000 came from Ecuador, the rest from Albania, Bangladesh, China, India, Morocco, Peru, Roumania, Russia, Senegal, Sri Lanka, and Ukraine. Most recent immigrants come from North African and sub-Saharan countries. Given that the Genoese have the lowest birth rate in Italy and the oldest population in all Europe, the fast-growing immigrant presence will play an increasingly important role in the city’s future, for better or for worse, depending on one’s political views. 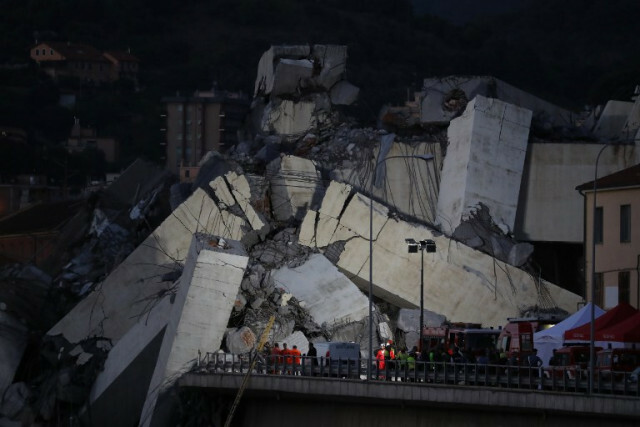 Immigrants, anyway, cannot be blamed for the failure of the Morandi Bridge. What’s the old Chinese curse? May you live in interesting times!